Nestled snuggly between Daitokuji Temple, Kitano Tenmangu Shrine, and Ryoanji Temple is Kinkakuji Temple, one of the most popular buildings found in Japan. 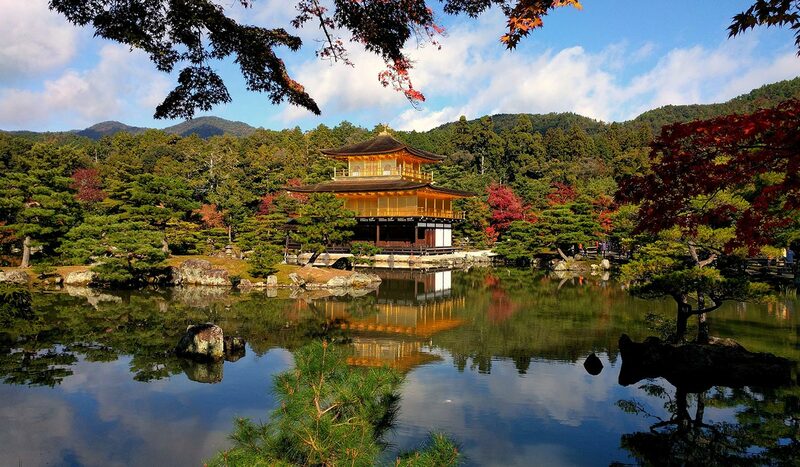 Namely due to the unique and breathtaking appearance of the Golden Pavilion and surrounding gardens, Kinkakuji Temple has been attracting visitors from around the world to view its beauty and interesting architecture. Although visitors come primarily to see the interior of the temple through open windows – which beautifully incorporates three distinct styles of architecture – many are delightfully surprised when they see the magnificent strolling gardens that surround the area. 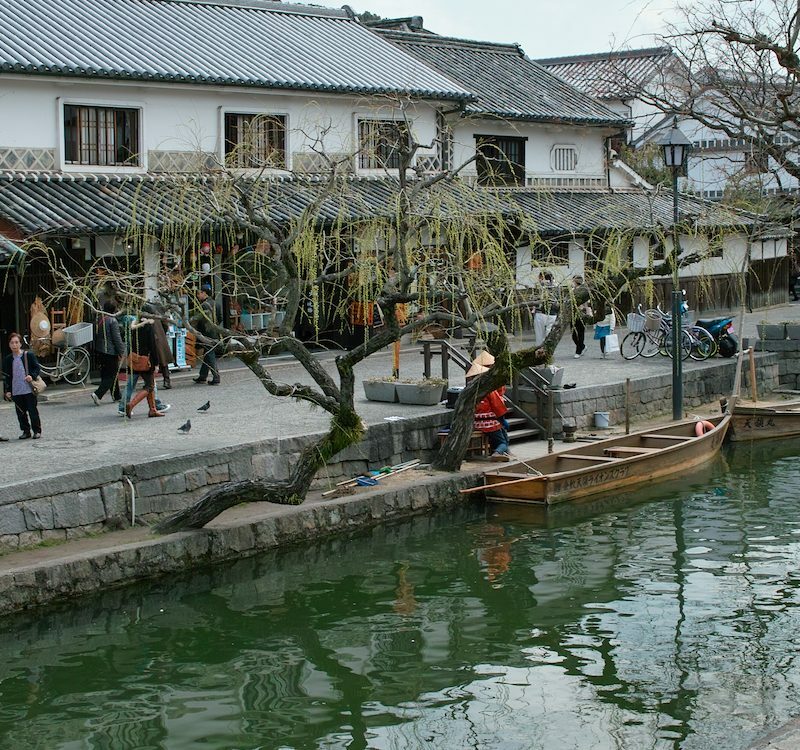 The temple is a designated National Special Historic Site, a National Special Landscape, and one of the locations of the Historic Monuments of Ancient Kyoto for World Heritage Sites. In short, the temple is truly as important as it is stunning to see. 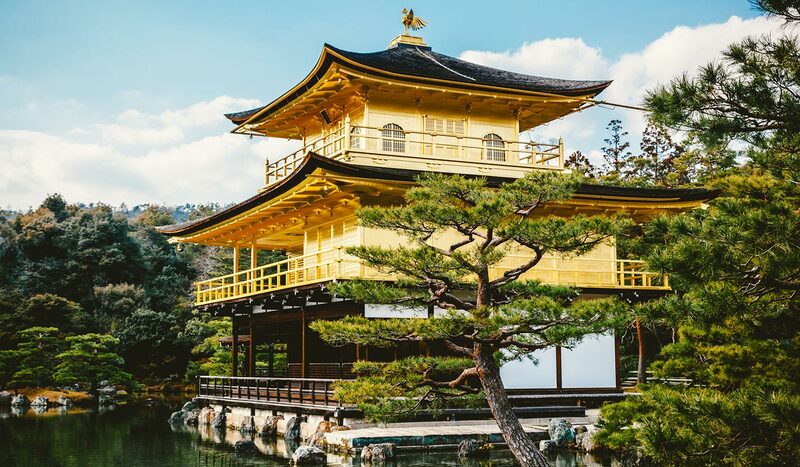 Incorporating architectural beauty with Japanese history, Kinkakuji Temple is a place you should strive to visit at least once in your life! Originally owned by a powerful statesman, Saionji Kintsune, in 1397, the Kinkakuji complex was built after it was purchased by Ashikaga Yoshimitsu. 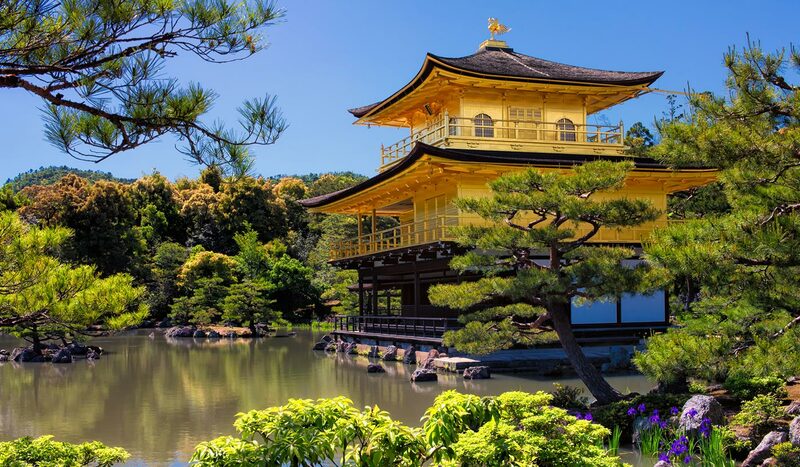 The pavilion was decorated with gold to showcase Yoshimitsu’s power and authority. After Yoshimitsu’s death, the entire building was changed into a temple in accordance with his wishes. The building remained intact until the Onin War, wherein everything except for the pavilion was burnt to the ground. It was rebuilt after with the astonishing gold leaf back in its rightful place. In 1950, the building was burnt to the ground once more. Hayashi Yoken, 22-year-old novice monk who suffered from mental illness, burned down the pavilion in the early hours of the morning before trying to take his own life. The monk, who had worshiped the pavilion before its decadent change, wanted to burn it to the ground so that he could stop being obsessed with it and save himself from being haunted by its image. He survived his attempt on his life, was taken into custody, and died by tuberculosis some years later. The pavilion was rebuilt again, though many of the original statues and art pieces were lost forever. The present-day pavilion was rebuilt to look exactly like it did before the second destruction, though many criticize that the amount of gold-leaf coating is not the same as the original – or even first rebuilt – structure. To keep the gold leaf from peeling off of the building as it had a hundred years before, thicker coatings of lacquer and gold leaf were gilded onto the pavilion in 1984. When all was said and done, nearly five times the amount of gold used on the original pavilion had been used for the rebuilt building! In 2003, paintings and statues that had been lost in the fire were reconstructed and added to the temple. To this day, this three-story building still houses relics of the Buddha and serves as a place of spiritual power and guidance. 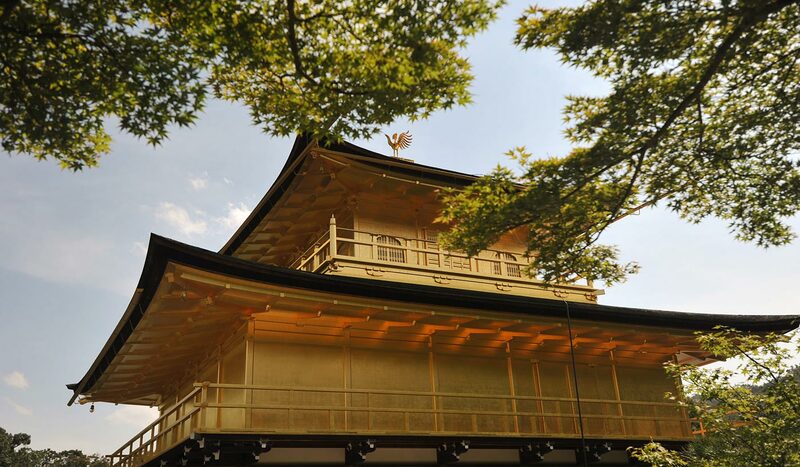 Fittingly enough, the name Kinkaku is derived from the gold leaf used to cover the entirety of the pavilion. The gold used on the building had a deeper meaning than just looking beautiful. Gold was thought to purify and protect people from negative thoughts and feelings towards death. 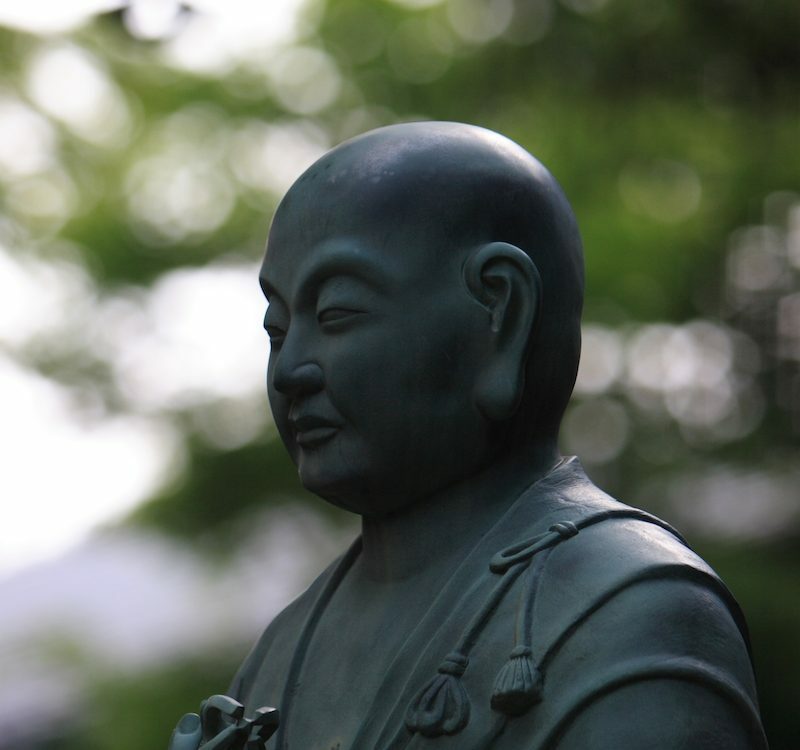 Since the building was converted to a zen temple, it was supposed to create a safe atmosphere for prayer and reflection. Some say that the way sunlight shines onto the Golden Pavilion and reflects onto the pond below is a visual representation of self-reflection. Each floor of the pavilion takes on a different and distinct style of architecture based on shinden, samurai, and zen. The first floor, which is called The Chamber of Dharma Waters, was built to resemble that of 11th century Heian Imperial aristocracy in a shinden-zukuri style. It uses open spaces, natural wood, and white plaster to create a blank canvas that accents the surrounding areas of nature and stillness. There is no gold on the first floor because it doesn’t fit with the architectural style and performances couldn’t be held if performers were slipping on slippery gold floors. Though you cannot enter the pavilion, it is possible to see the Shaka Buddha and Yoshimitsu statues threw the front windows on days that they are open. 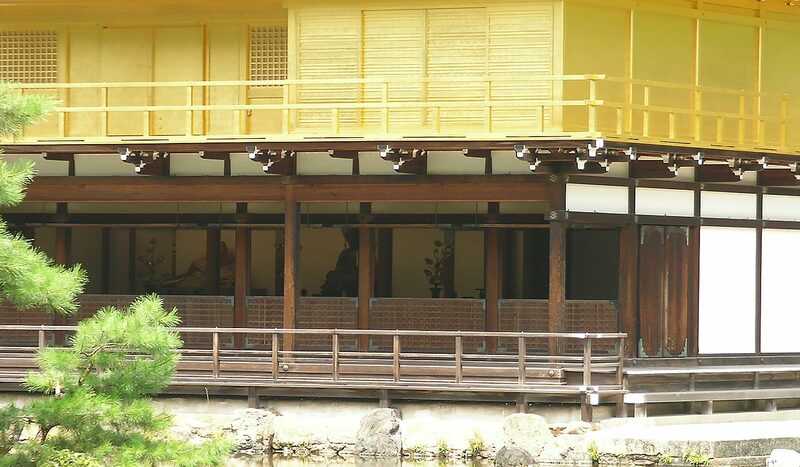 The first floor was used for Noh plays or Classical Japanese dance dramas. The second floor of the pavilion, The Tower of Sound Waves, was built and stylized similar to that seen by warrior aristocrats. The bukezukuri stylings feature sliding wood doors and latticed windows. There is also a Buddha Hall and shrine found on this floor that features more important Buddhist statues which the public is not allowed to view. 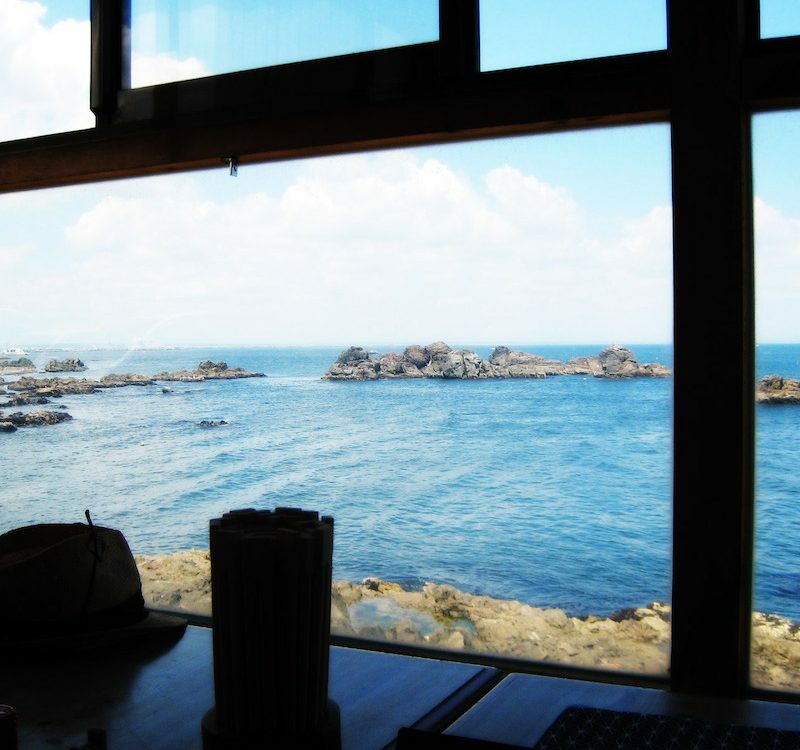 The second floor was primarily used for composing poetry and for Yoshimitsu to hold private meetings with honored guests. The third floor of the pavilion was built to model the traditional zen style, also known as ‘zenshu butsuden zukuri’. This floor is called the Cupola of the Ultimate and was extremely popular during the Muromachi period. The windows were round-headed, and more ornaments can be found on this floor than any of the other two. There are 25 Bodhisattvas and an Amida triad featured in the third floor as well. This floor was used for tea ceremonies and meetings with intimate friends. The third floor was also seen as a more spiritual area of the pavilion, and as such was routinely used for meditation as well. 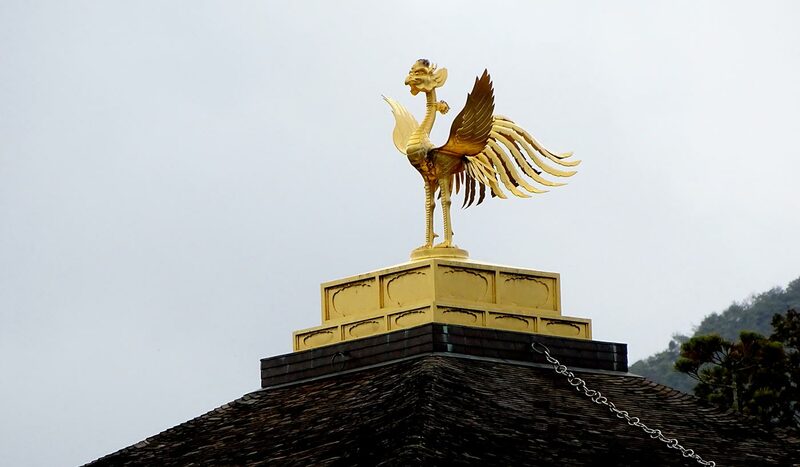 Residing on the roof of the pavilion is a nearly four-meter tall bronze statue of a phoenix covered in gold leaf. The entirety of the roof is set up as a thatched pyramid with shingles. As only the two upper levels of the pavilion have gold leaf plating, it was only appropriate to house the shrines within those stories. 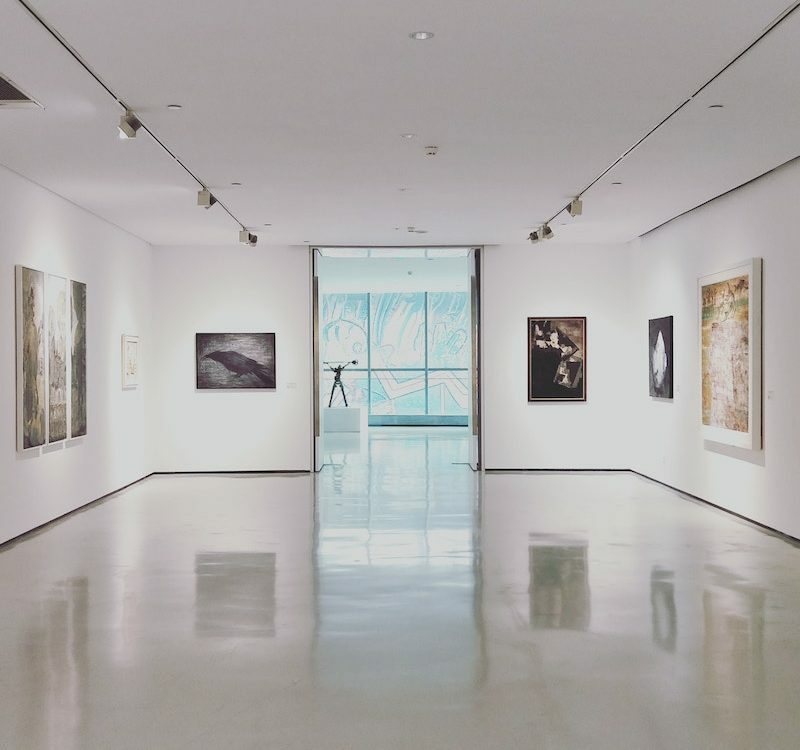 The overall appearance of the pavilion was made to emanate simple, yet beautiful elegance and style. One of the most amazing things about Kinkakuji is how its appearance can change from season to season as well as by the time of day. Red leaves in autumn reflect off of the pond and golden roof; white snow in winter contrasts the golden brightness; thriving foliage in spring gives off a more natural appearance; and the sun’s powerful rays reflecting off the Golden Pavilion illuminate the area with heat and life. As the lighting of the day changes from morning to night, it’s extremely difficult to get the same exact picture of the temple from one day to the next. One of the highlights of the temple is the beautiful, traditional strolling garden found around the pavilion. The entirety fo the Kinkakuji complex is situated on the northern side of Kyoto in Kinugasa Kill. Though the pavilion has had to be rebuilt and reconstructed, the gardens and lake have remained as they were originally designed for hundreds of years. If you’re taking a stroll through the gardens, you’ll actually find yourself viewing the same sights that the Ashikaga shogun saw while he was alive and touring the property! 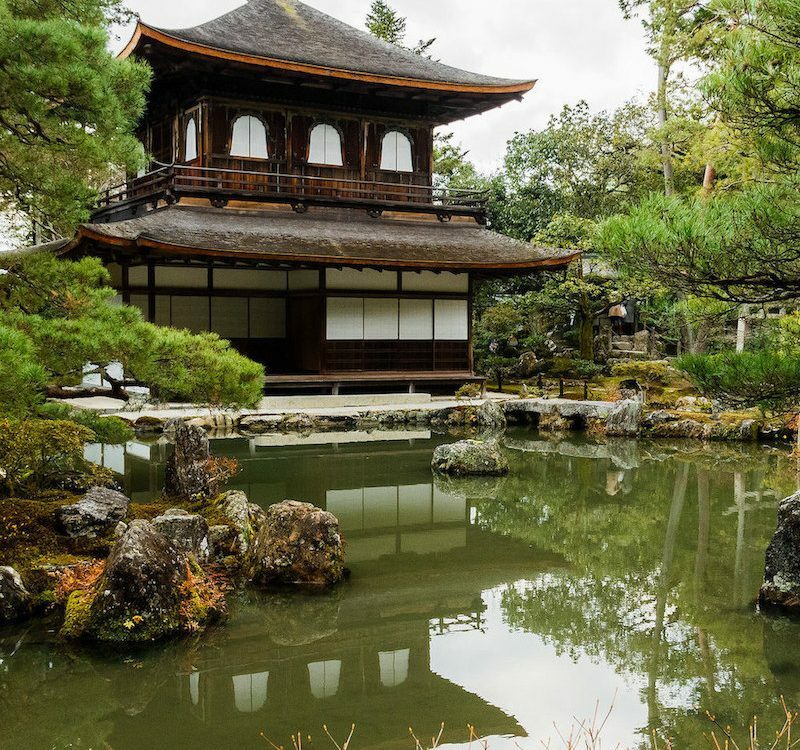 The garden itself uses Muromachi period garden designs to the fullest to give visitors an experience that can’t be found elsewhere. The style allowed for the seamless integration of buildings and settings to show a harmony between heaven and earth. The landscapes were designed to be minimalistic, yet full of sights that instilled peace and tranquility on viewers. By recreating large landscapes on a smaller scale, the garden makes each visitor feel larger than life, and gives them a new perspective on the area. There are 10 separate islands to be found in the pond itself, each of which can be viewed from the gardens. The islands have their own unique style, and often compete for visitors’ attention with the numerous stone animals arranged around the area as well. You can see red and white koi fish when gazing into the lake below the floating lotus plants. The gardens have decorated stone paths, lanterns, and stairways to guide visitors through the beautiful landscape. The gardens were specifically created to feature both the pavilion as well as natural landscapes in and around the area, such as the mountain behind the temple and central pond. The small islands found inside the pond were laid out purposely to give enhanced views and angles when walking through the garden. 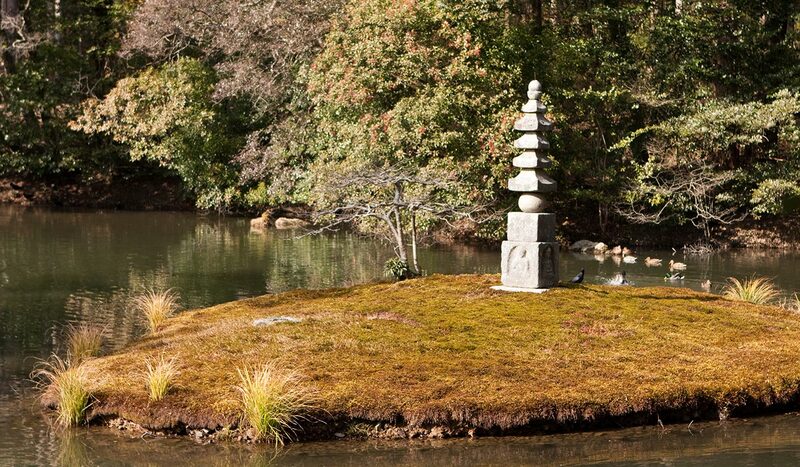 The longest island in the pond represents the Japanese islands, and four stones that are set up in a straight line represent sailboats that would have been bound for the Isle of Eternal Life in Chinese mythology. 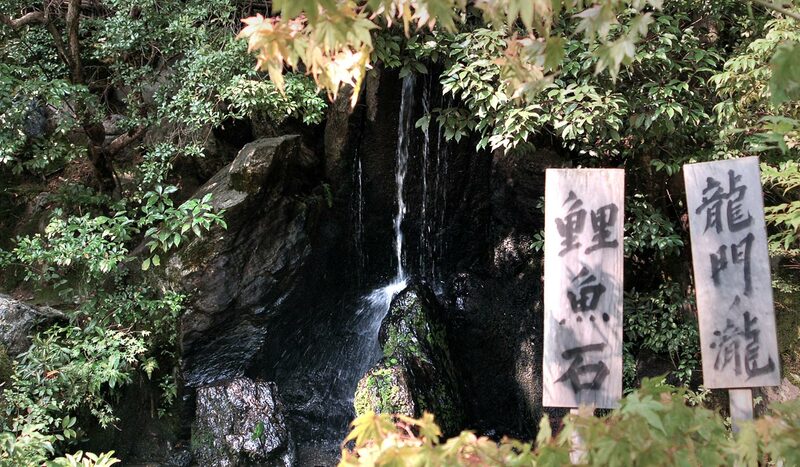 One of the most overlooked aspects of the garden is the small waterfall found on the north side of the area called Ryumon taki. The falls give off a calming, pleasing atmosphere that allows for peace of mind. At the base of the falls is a historic rock called the Reigyo seki, which looks silimar to a carp that is splashing about and trying to swim up the waterfall. 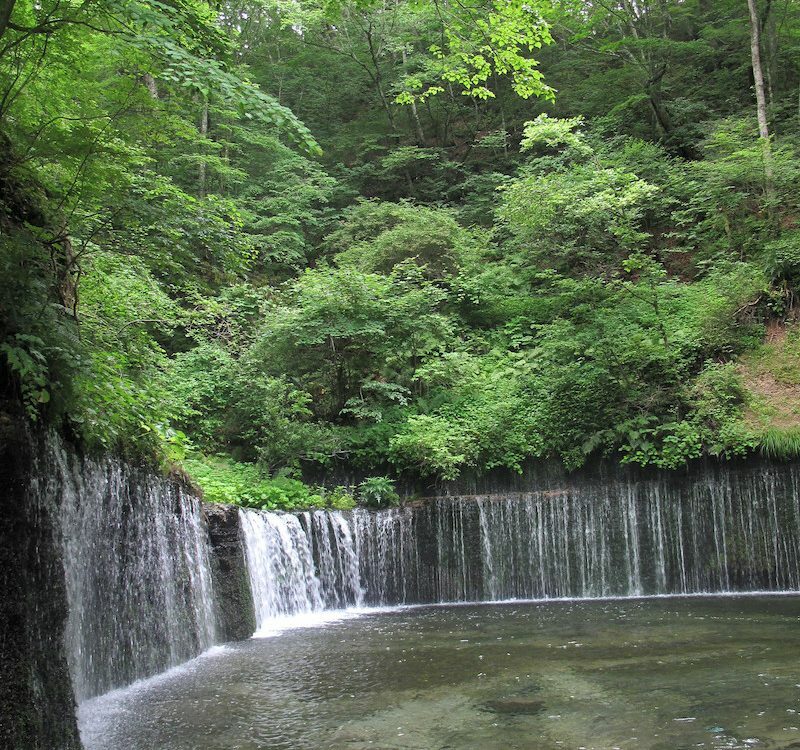 The rock was placed in such a location because of the story of “Toryumon”, wherein a carp becomes a dragon after swimming up the full length of a waterfall. 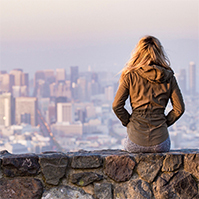 It’s a great spot for pictures, and an even better spot for contemplation. Even if you’re visiting Kinkakuji during the winter periods, there’s still plenty of life and beauty to be seen in the surrounding gardens! 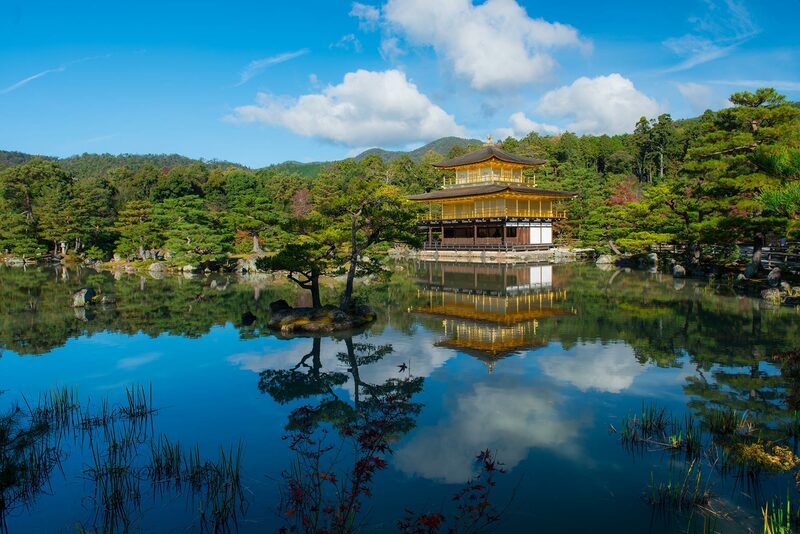 Open year round for visitors to enjoy, the Kinkakuji Temple is a perfect destination for those who want to enjoy a true experience of historic Japan. 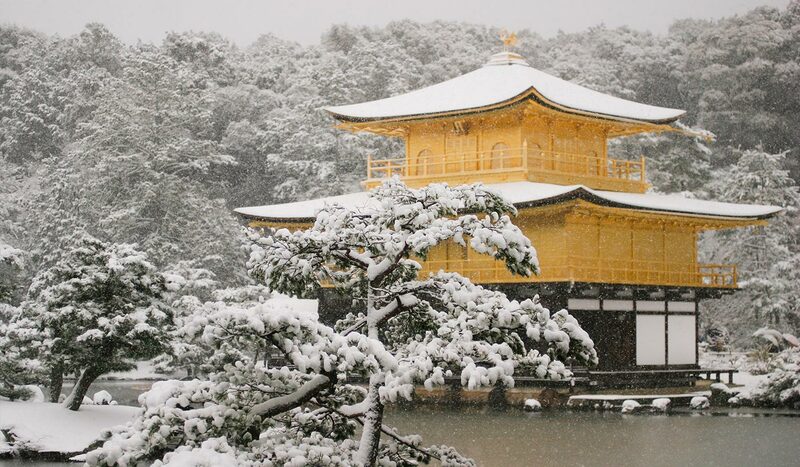 If you’re visiting in the winter, you might be lucky enough to see the rare image of the pavilion covered with snow in an attempt to hide the golden treasure beneath. If you visit on a clear day, you’ll have the best opportunity to get a clear photo of the temple’s reflection mirrored perfectly on the lake! Add in the beautiful gardens in the surrounding area and you may never want to leave this picture-perfect paradise! Though the temple has had to be rebuilt over the years, it has yet to lose any of its former glory. 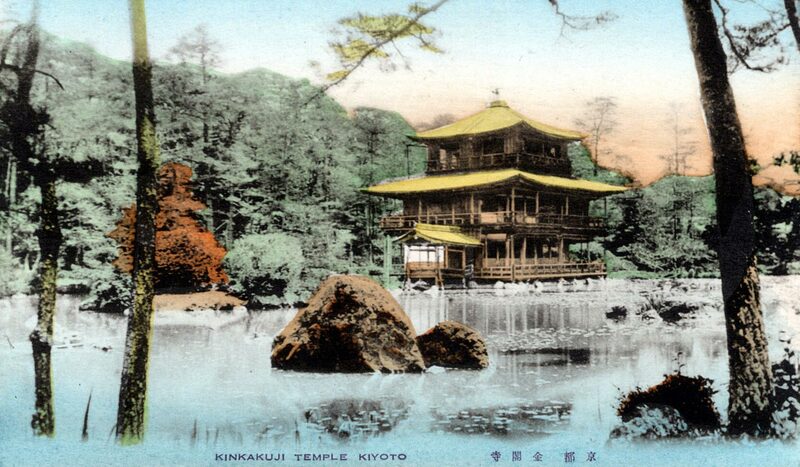 No matter how many attempts are made to destroy the temple – and whether they’re by natural disaster or human intervention – the people of Japan will never allow Kinkakuji Temple to be erased from their country’s past, present, or future. Are you looking forward to more amazing things about Japan? Follow us on Facebook, Instagram, Twitter, and Pinterest! 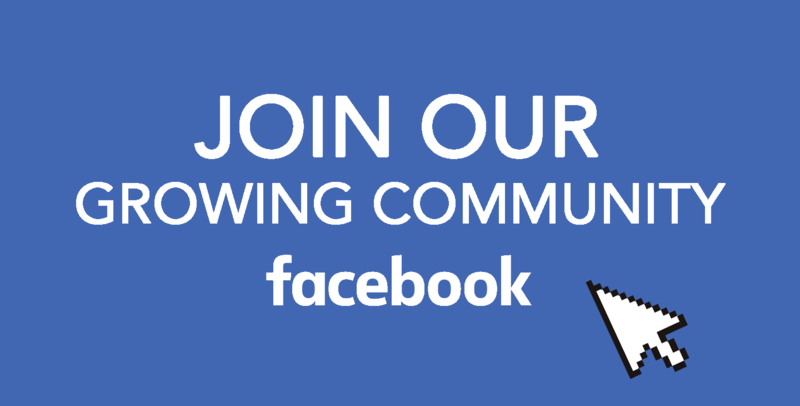 Also, join our Facebook Group and share your experiences in Japan with us.